I must admit that my knowledge of the part played by the British Army in the Italian campaign during the First World War was limited until I picked up this book. Like many I suppose I mainly read about the western front; indeed of the 243 names on my local war memorial, not one is a casualty of the Italian campaign, although some served there. Italy had of course been fighting in the war for two years before British troops arrived. A short but helpful description of this period serves as an introduction to the book. The backdrop for British involvement was the Battle of Caporetto in October 1917; the Austrians, aided by considerable German support (including the future Field Marshal Erwin Rommel) managed to break through and cause the Italian line to withdraw. Italian casualties were high, but the biggest losses were in the number of prisoners captured – around 300,000. Discussions about the provision of British and French men and materiel had been ongoing for some time, and British heavy artillery had been supporting the Italians since April (although was later recalled to assist with the Passchendaele offensive). When news of Caparetto broke Lloyd George ordered Robertson (Chief of the Imperial General Staff) and two divisions to be sent to Italy – without consulting Haig or the War Cabinet. Nevertheless arrangements were proceeded with, although the exercise of moving men and equipment from France and Flanders proved to be a logistical nightmare. As well as troops France and Britain provided additional support including artillery pieces, machine guns, rifles, and gas masks. Plumer took over command of the British forces in Italy on 13th November, and British troops deployed on the Piave. The remainder of 1917 proved fairly quiet for the British (a little over 300 casualties incurred by the end of 1917), and quite a change for the troops who until recently had been fighting in the very different landscape of France and Flanders. Most of their time was spent improving their positions and carrying out patrols and raids on the Austrian lines. The difference in terrain to the chalky trenches of the Somme and high water table of Flanders posed their own problems. Trenches in many cases had to be dug out of solid rock, and the difficulty of burying telephone wire meant they had to be strung in trees which made them more susceptible to artillery fire. Supply issues were also prevalent as the existing British motor transport was not fit for the mountain roads, and there were also difficulties finding suitable platforms for artillery in the rocky and tree-covered terrain. The German Spring offensive of 1918 meant that some British units were sent back to France to bolster the troops there. The German advances caused uncertainty about the proposed operations on the Asiago plateau, but after several months of indecision the decision was in effect taken out of their hands when the Austrians launched their own offensive on 15th June. The attacks had petered out by 23rd June and the Austrian Army had incurred heavy losses for no gains, a disaster from which it never recovered, although heavy casualties had been inflicted on the Italian troops. The attacks of 15th-16th June on the British/French sector are examined in detail, with several personal accounts drawn upon. It was a battle for which Lieutenant Colonel Hudson, Sherwood Foresters, was awarded the Victoria Cross and in which Vera Brittain’s brother, in the same battalion, was killed. Over summer discussions and negotiations continued as to future offensive plans. Whilst the Austrians were still nursing their wounds, the British continued to mount patrols and raids, which led to a steady increase in the number of casualties from the campaign. The final British involvement was in the crossing of the Piave in October 1918 and the subsequent pursuit of the retreating Austrians until the Armistice came into effect. First published in 1998, much of the information in the book has been drawn from the British Official History and Italian Official History, and could benefit from updating to reflect the records that have more recently become widely available. 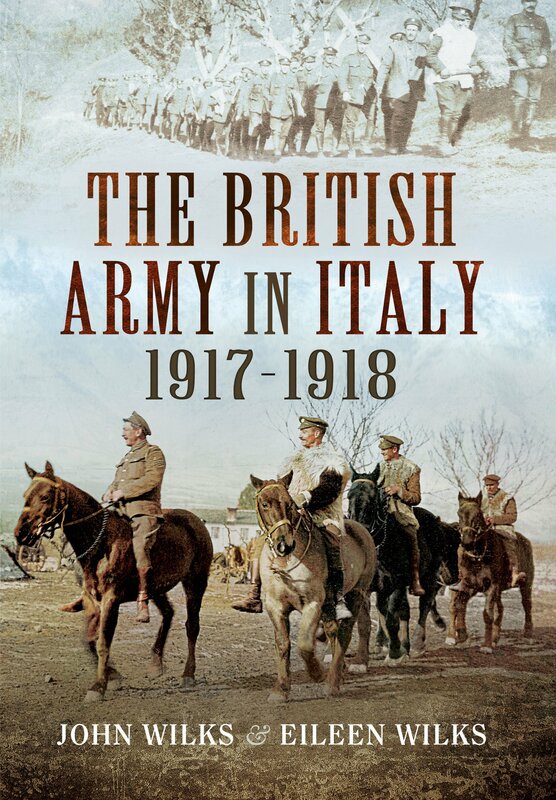 Although naturally focusing on British involvement, the authors recognise that this cannot be viewed in isolation of the Italians’ efforts, and the book does a good job of explaining these rather than just skirting over the details. With the French and British operating in the country, the issue of Allied cooperation and the difficulties this posed is also covered. The book is rounded off by some interesting photos from the campaign and several useful maps.